For this project I hacked an old rotary phone, so it will tell me if a HTTP server in my AWS account is down. To do this a Lambda function will check via Cloudwatch Events an EC2 instance by checking a HTML page. The Lambda function is tracked by a Cloudwatch Alert. If the check fails, an alert is triggered and a SNS message is sent to a topic. A second Lambda function is connected to this SNS topic and will forward this message to a MQTT topic. The Pi Zero in the red phone is subscribed to this topic. If a MQTT message is reaching the red phone, it will ring, the Pi than calls the AWS Polly API to transform the text message into an Audio File an plays it on the handset. Its really hard to make a rotary phone ring these days. You would need a 60 to 105-volt RMS 20-Hertz sine wave to get the bells ringing. A ringing voltage generator is expensive and I don't have one. A simple hack to overcome this is, to remove the original ringing circuit from the phone and replacing it with two small solenoids. I got mine from Ebay, they are about 6 € each. 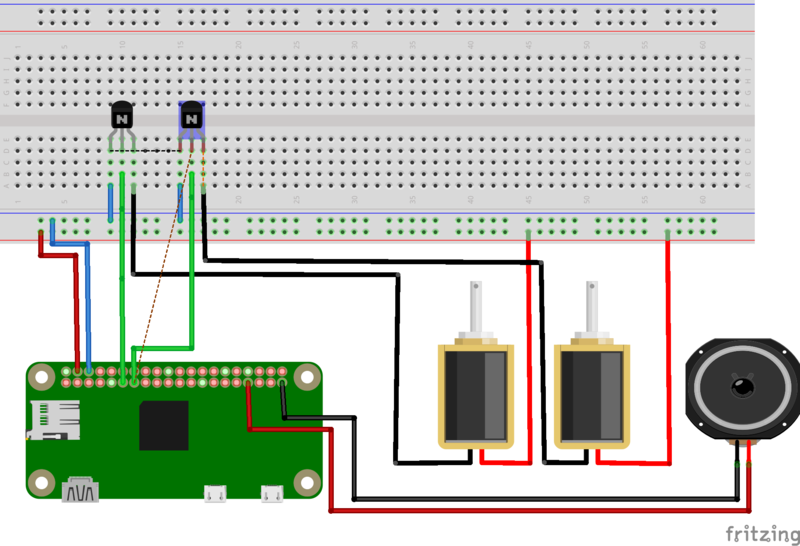 In order to control them with the Pi Zero I created a small NPN transistor circuit, because its not possible to drive them directly over the GPIOs. 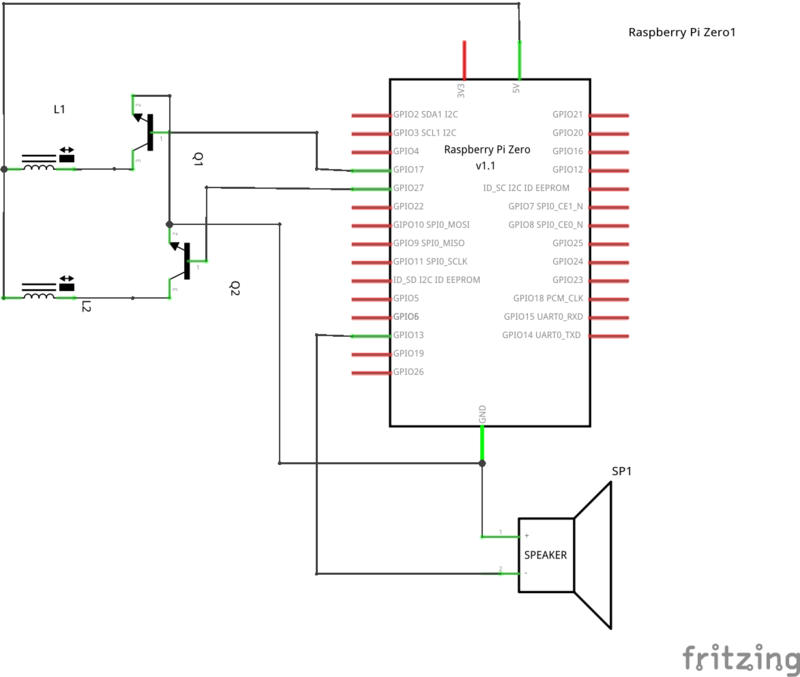 Grab your Pi zero W and a SD card and follow the instructions on dietpi.com to setup and access the Pi. The phone is not loud, so after the ringing you have to turn up the volume.